Sometimes, I'm a wussy. Ok, a lot of times I'm a wussy. Watching Saving Private Ryan?- Yea that was traumatic for me. Reading about Wounded Knee?- I cried. Going to battle?- Yea, I could never survive that. I'm hyper aware of what I couldn't handle, and the acts of bravery that our warriors engage in amaze me. I'm not the only one who is not only in awe of, but thankful for, these strong individuals, and we have multiple commemorative holidays here in the US in their honor. Veterans Day is our official United States holiday that honors people who have served in the U.S. Armed Forces. In Native communities, these veterans come from a rich history of warrior traditions- fighting for our land, for the freedom of our people. One of Indian Country's most noted group of warriors are the Navajo Code Talkers, who used the complicated Navajo language to transmit messages during World War II. The Navajo code talkers took part in every assault the U.S. Marines conducted in the Pacific from 1942 to 1945, and the Japanese never broke the code. 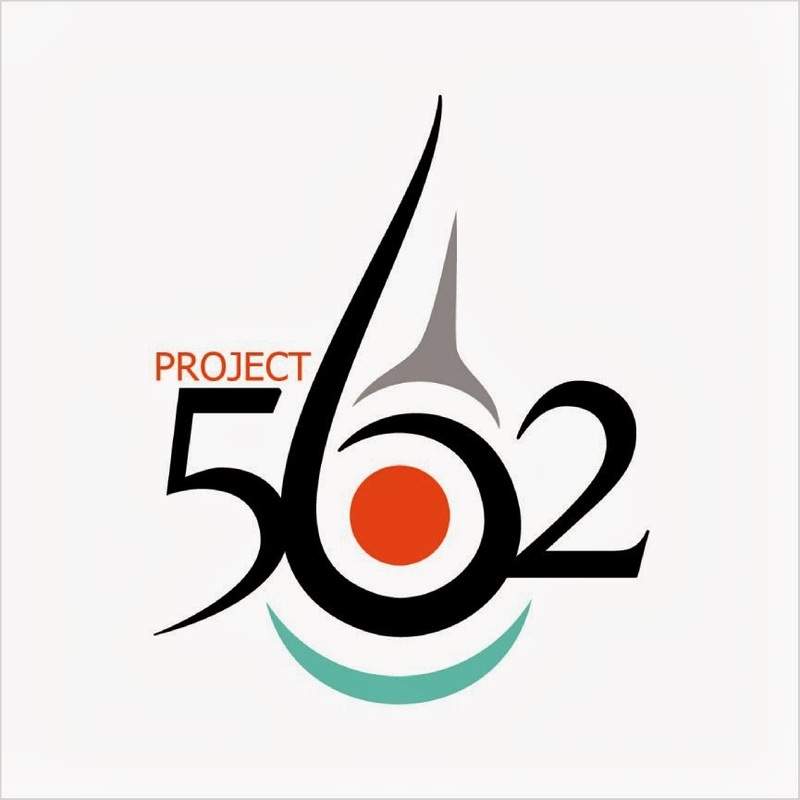 Only 400 Navajos knew the code - even a Navajo speaker wouldn't know it unless they went through training - and it was all subject to memory. Praise for their skill, speed and accuracy accrued throughout the war. It helped save thousands of lives and helped pinpoint where the enemies were. Major Howard Connor, 5th Marine Division signal officer, declared, "Were it not for the Navajos, the Marines would never have taken Iwo Jima." 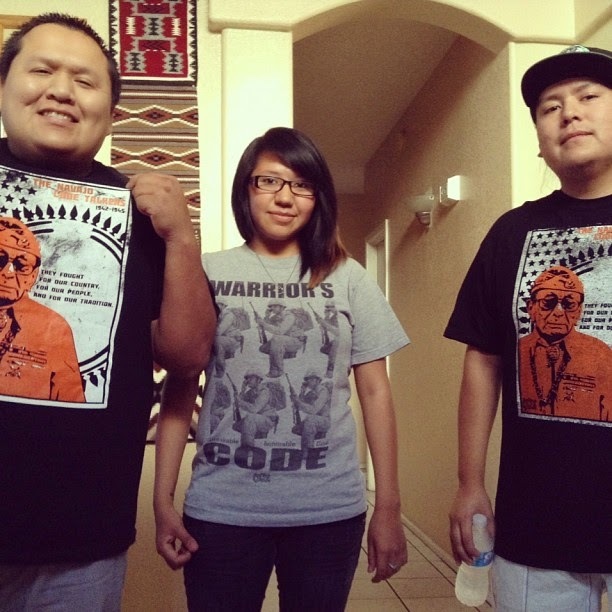 To commemorate these warriors, Navajo artist Jared Yazzie created the Code Talker tee. 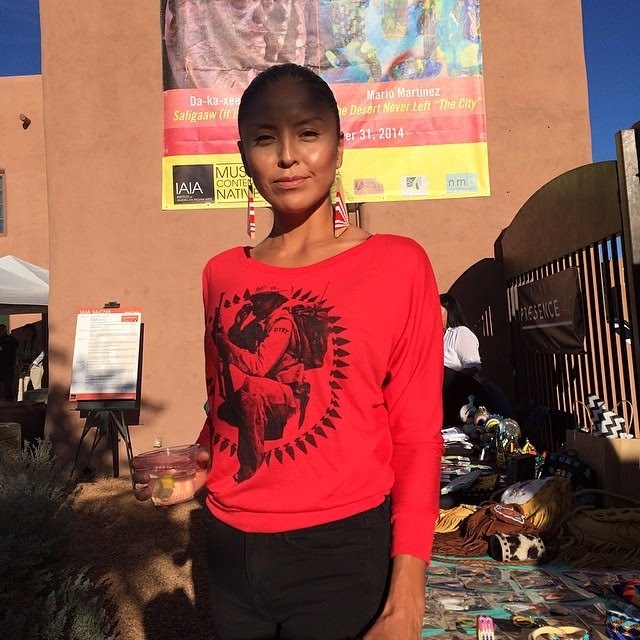 The first version of the tee launched 2 years ago (see above), and Yazzie recently remixed it for a fashion event held in Santa Fe during the annual Indian Market. I love how the circle of arrowheads looks not only graphically awesome, but represents our traditional ways creating a circle of protection around the soldier. 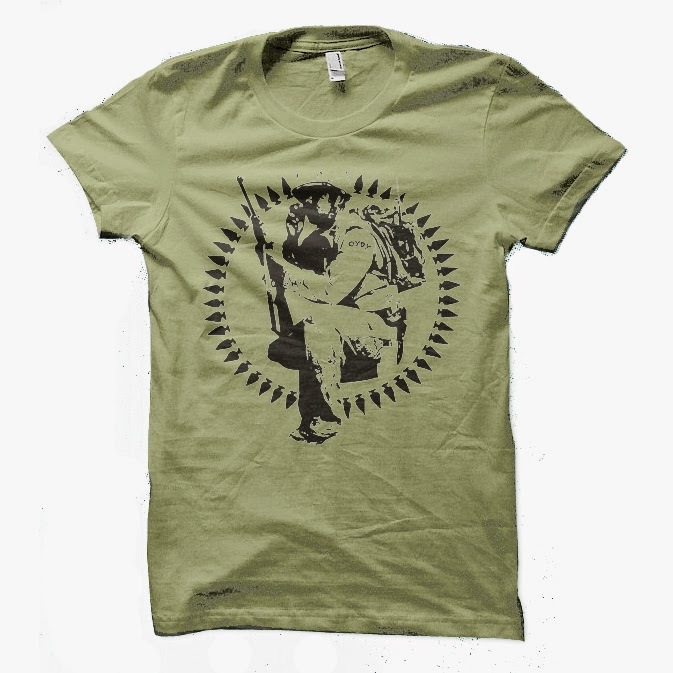 While camouflage and the 'Indian warrior' image may be in style for popular brands, we don't have many options when it comes to commemorating our true veterans and our real warriors. 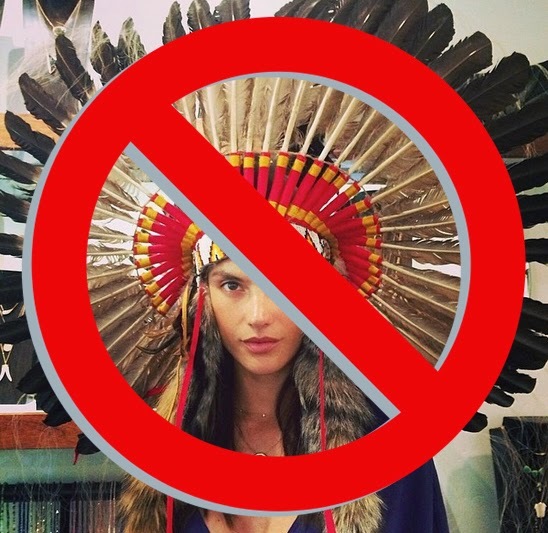 Yazzie makes this possible. And that's pretty rad. You can purchase the tee (and proudly represent this legacy everyday!) 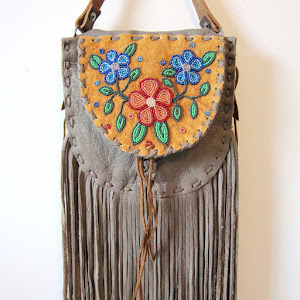 at the Beyond Buckskin Boutique, but also at Yazzie's online OxDx store.